They were predicting some nasty weather today so, since I had to swing by the grocery store on my way to the office anyway, I decided to look for something for lunch (to save me the drive home). I wasn't really sure what I was in the mood for. However, I came across this product in the freezer section and decided to give it a try. To tell you the truth, I wasn't really sure if I wanted to buy this product because I thought the $4 price was a little high considering I could buy a regular ramen cup for about 33 cents. However, I thought the chicken strips looked inviting and decided to give it a chance. After having it for lunch, my opinion was mixed. As far as convenience goes, I had no complaints. All I had to do was add some water to the bowl and microwave it for 4 minutes, 15 seconds. There weren't a bunch of unnecessary or complicated steps and the ramen noodles did come out fully cooked. I also thought this had a decent flavor to it. It wasn't too salty (which is always a little bit of a concern with a frozen meal like this) and I thought the chicken had a good blend of seasonings on it. In fact, I will even go as far as to say I liked this product. The problem, however, is I'm just not convinced I liked it enough to justify the price. Yes, this ramen version did have larger chunks of chicken in it. But, it wasn't in any sort of quantity that had me thinking this was worth spending the extra money. When it was all said and done, the majority of the bowl was still ramen noodles and a few vegetables, which is pretty much what I would have expected from a 33-cent ramen cup. Plus, while I though it had a good flavor, there wasn't anything about that flavor that had me thinking "this is so much better than the ramen I normally buy." 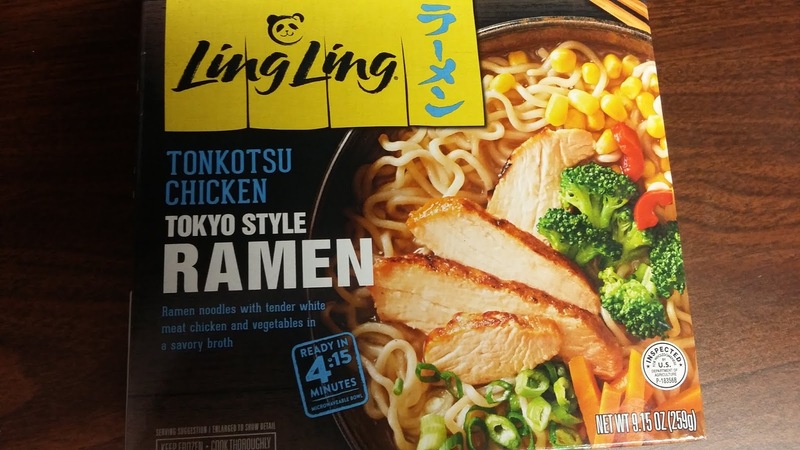 In fact, the more I think about it, I'm not sure I noticed any real flavor difference between this product and other ramen products. Final Opinion: I think this is one of those products that looks good on the box but ultimately doesn't really live up to expectations. Again, I didn't hate it. I just don't think it was worth spending the extra money on it.